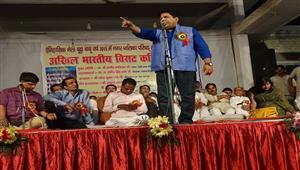 Organising kavi sammelan in colleges are setting new trends. 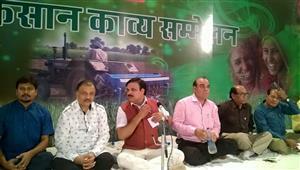 IIT- Delhi had its annual fest having complete three hours for kavi sammelan including Dr. Rahat Indori, Shambhu Shikhar, Ajatshatru and Mumtaz Naseem. The auditorium was fully seated and guys and girls were cheering with excitement. IIT- Delhi had not just a kavi sammelan but an excellent stage before our nation's best minds. 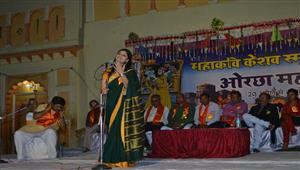 Starting the kavi sammelan with the "juggler of words" hasya kavi Shambhu Shikhar, the audience bursted into laughter. He recited a good number of muktak(s) accompanied by mini bombs of laughter. "Swaad lipstick ka", "Patakhon par ban","Hanipreet aur asharam" are a few muktaks those were highly appreciated and requested to be repeated again and again. 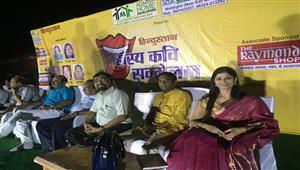 The audience was literally driven crazy by the most popular hasya kavi of India Shambhu Shikhar. 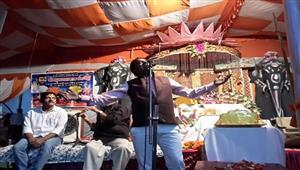 A glorified song dedicated to Bihar was presented by Shambhu Shikhar that really bought goose-bumps to the audience. Moving forward to the most popular shayara of the present time, Mumtaz Naseem is blessed with a beautiful soul which is been reflected in her poetry. Mumtaz Naseem has a soothing voice that vibrates the strings of our hearts. Her every "char misre" took this kavi sammelan to a new height. Ajatshatru from Udaipur (Rajasthan) blowed the young minds with his fantastic poetry along with anchoring (sanchalan). "Facebook jaisa face tumhara" compelled every single listener to tap and clap with this amazing and much popular kavi Ajatshatru. Overall, he presented himself as a complete package of romanticism, humor and patriotism followed by short jokes too. Dr. Rahat Indori is a signature that requires no introduction in the poetry world. Undoubtedly, he can be considered as an "old wine", attaining the absolute flavour with time. 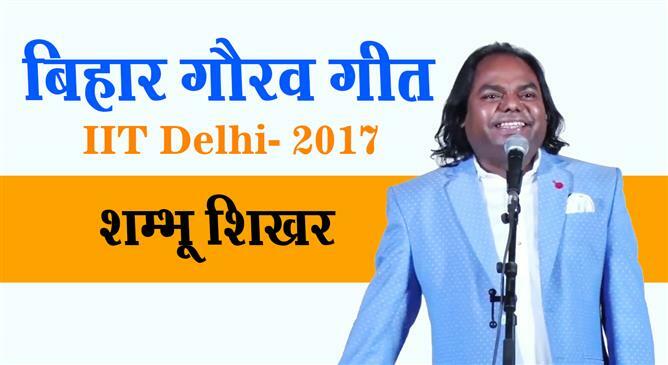 Dr. Rahat Indori has got a unique style of recitation that fixes the attention of the listeners towards him. 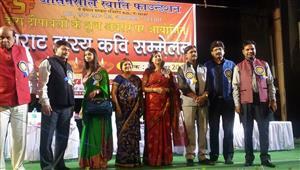 If you too want an alike brilliant experience, book a kavi sammelan for your college fest or annual functions now. Talk to us on 9999428213.